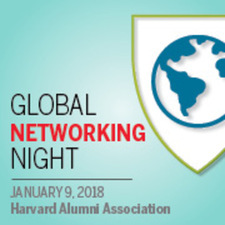 The Harvard Alumni Association invites you to join fellow local alumni for Global Networking Night on January 9, 2018. Global Networking Night is a great opportunity to explore and expand your Harvard Network; the last event drew more than 8,000 alumni in over 100 cities! Sponsored by: Harvard Club of France. Contact Denise Silber MBA '79 with any questions. Event to be held at: Frog XVI. Attendees must be 18+ When you walk in, please head downstairs.